After years of Ministry for Primary Industries (MPI) inaction over fishing regulation breaches, over-fishing, fish dumping and more, now it appears MPI has been asleep at the wheel on land as well. News this morning of yet another appalling breach of animal rights show the terrible state some of the nation’s animals are kept in, but also makes it clear that MPI has failed on all fronts to police the industry it is supposed to oversee. LegaSea spokesman Scott Macindoe says MPI’s restructure must be the start of systemic change within the ministry. The government is considering whether or not to put electronic monitoring in place on industrial fishing vessels to oversee the fisheries industry. LegaSea says this should be an easy decision. Footage of a Northland farmer beating animals with a steel bar emerges. MPI prosecuted 5% of the nearly 700 animal welfare complaints it received in 2015. Forest & Bird uncovers 50 commercial fishing boat skippers were unwilling to take observers on board despite being obligated to do so under the Act. MPI has had to prosecute 10 skippers since 2009. A major investigation into the fishing industry by Stuff’s investigation team reveals an industry rife with “modern day slavery”. A leaked report reveals some of the country’s largest fishing concerns have been under-reporting their catch of hoki by hundreds of tonnes. The Environmental Defence Society (EDS) releases a report into the destruction of marine bird life and mammals by commercial fishing interests. The Minister of Fisheries announces a reduction in the number of crayfish that can be taken from the CRA2 region. The government announced changes to the structure of the Ministry for Primary Industries(MPI) which sees the creation of four separate divisions, one of which will oversee Fisheries. The report on cameras on fishing boats, dismissed by Primary Industries Minister Nathan Guy, had been described as “robust” by a top ministry science advisor, emails show. A new leaked MPI report suggests the cameras being installed on boats by the industry-owned business, Trident, won’t have the resolution needed to provide footage able to be used in court. 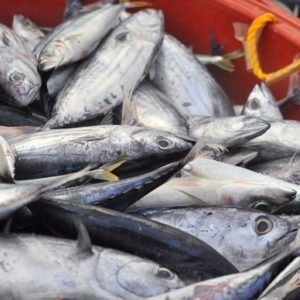 University of Auckland researchers reveal MPI refuses to release information relating to 14 more operations that detail the Ministry’s investigations into reporting and fish dumping. MPI’s relationship with industry questioned further after it is revealed MPI has outsourced administration and data management for large parts of its daily activity to a company wholly-owned by the fishing industry. The Ombudsman’s Office has forced MPI to reveal that the legal advice it relied on to avoid prosecuting those industrial fishers filmed dumping fish doesn’t exist and never had. People who dive or fish for crayfish think stocks off the northeast of the North Island are in bad shape, according to a survey. MPI forced to reveal that only four cases of fish dumping have been brought before the courts since 2009. MPI forced to admit that up to 80 percent of the cameras installed on snapper trawlers to police fish dumping failed during their first three months of use. Footage from some vessels has been missing for up to a month. Heron report reveals MPI decision not to prosecute was “flawed”, recommends changes to the way MPI reacts in future. The report also shows MPI was fearful of the reaction by the public and the commercial fishers themselves if they did prosecute. The report also reveals senior MPI managers believe dumping of fish is so widespread half the inshore trawl fleet would go out of business if the law was enforced. Crayfish numbers are so low they are no longer contributing to the ecology of the Hauraki Gulf and are “functionally extinct” according to a marine scientist. University of Auckland’s catch reconstruction report released. New Zealand’s fishery catch of the last 50 years estimated at 2.7 times more than reported. Report attacked by industry as being misleading. 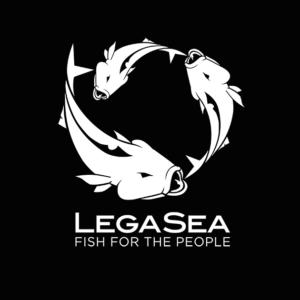 LegaSea respond to the report calling for an urgent review of the QMS and of MPI’s role in overseeing the fishing industry. EDS call for a wider review of NZ’s fisheries management system. 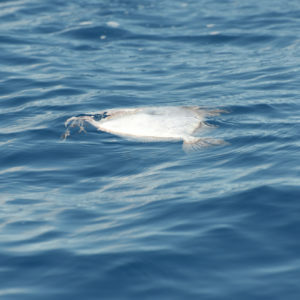 Government appoints Michael Heron QC to review decision not to prosecute those filmed dumping fish. LegaSea says the Heron review is not enough, only a full review of the QMS will be enough to allay public concerns about Ministry capture by the fishing industry. The catch reconstruction report also refers to MPI’s own investigators’ concerns about the level of fish dumping for the first time. MPI awards contract to place cameras on boats to monitor for illegal fish dumping and under-reported catch of protected species to Trident, a company wholly-owned by the fishing industry. 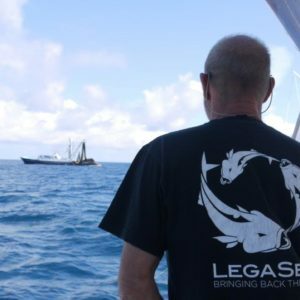 LegaSea questions who is running New Zealand’s fisheries and urges the Minister to establish an independent inquiry with broad terms of reference.